I’ve tried it with a couple different toppings (peanut butter, butter, and raspberry jam) and this bread tasted yummy with all three. It’s a bit denser than what I’m used to with my “normal” but it was delicious nonetheless. I’ve toasted it each time I’ve used it because I prefer Cinnamon Raisin Toast, but with as soft as this bread is . . . I can’t imagine it wouldn’t be just as tasty straight out of the bag! I think this bread is delicious, and will definitely purchase this product again. 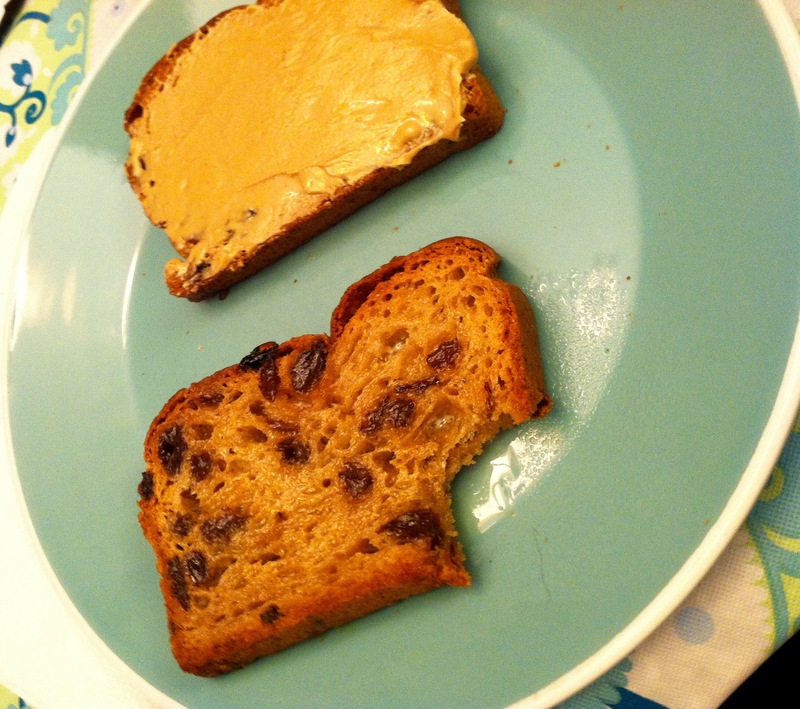 If you’re in the market for Gluten Free Cinnamon Raisin Bread, you should definitely try this one!! It’s super tasty! Have y’all tried any Rudi’s products? If so. . . let me know what your favorite product is in the comments below! Have a Marvelous Monday y’all!! I’m going to go crawl back in bed to play Words With Friends as allergies and the beginnings of a sinus infection are throwing me for a loop today. See y’all back here tomorrow!! We like Rudi’s Gluten Free, too. The only bread we’ve found that we enjoy more is Franz gluten free. It’s soft and you can store it ON THE COUNTER for a week. Yes, a week (without any crumbling). I have yet to see a cinnamon raisin variety in our stores, though. I’ll have to check that out! Rudi’s Packaging says it can be stored on the counter for up to five days. I really like Canyon Gluten Free Bakehouse too!